The Occasional Lounge Chair by Jasper Morrison for Vitra is a modern, simplistic armchair. 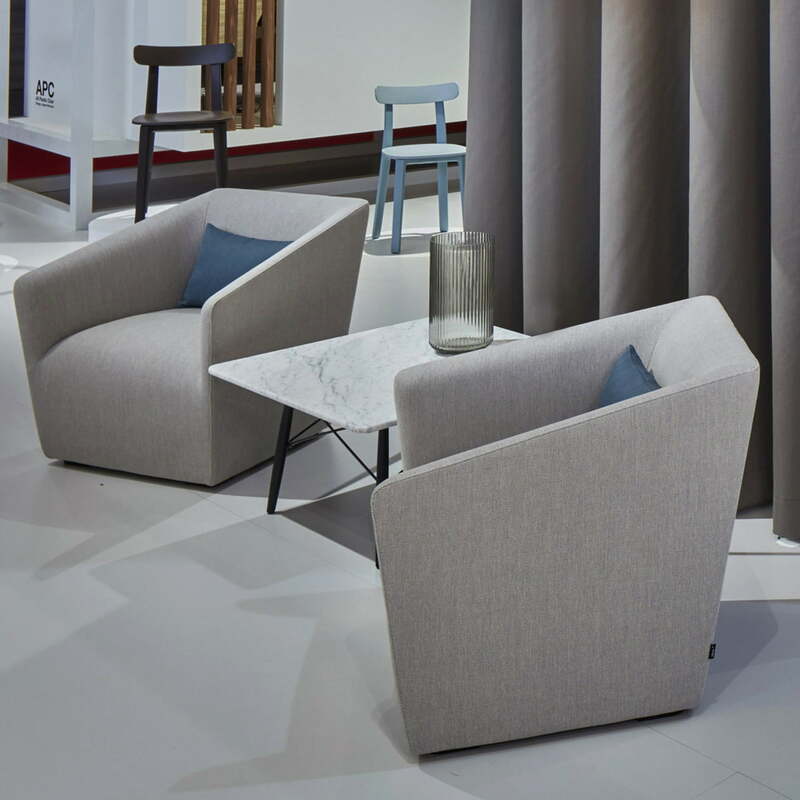 With its charming compact design, the armchair is perfect for hotels, lobbies and waiting areas as part of a group of upholstered chairs, or at home where it would look great as an individual stand-out piece. As an outward shape, the Vitra armchair looks cubic, with clean lines, straight edges and a polygonal body that tapers downward. Its appearance is so discreet, that is works just as well as part of a group of chairs, as it does as an individual stand-out piece. In contrast to the straight-lined silhouette, the armchair’s seat is organic and softly-rounded. 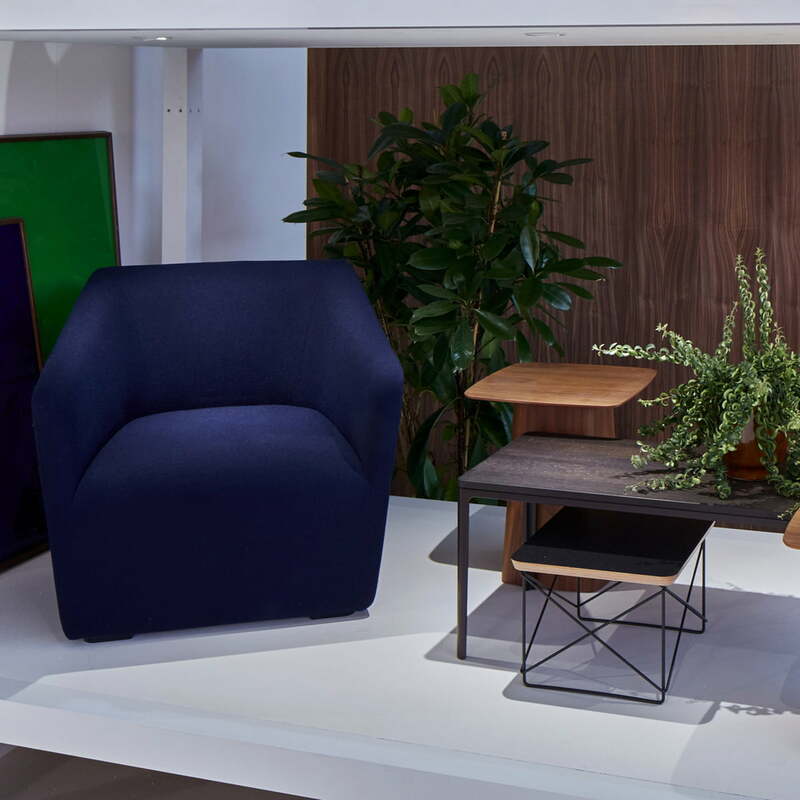 With the Occasional Lounge Chair's compact dimensions, the seat cushion and backrest convey a sense of well-being and a level of comfort that would not be expected at first glance. The Occasional Lounge Chair by Jasper Morrison for Vitra is available in different coloured fabric and leather. As an outward shape, the Vitra armchair looks cubic, with clean lines, straight edges and a polygonal body that tapers downward. 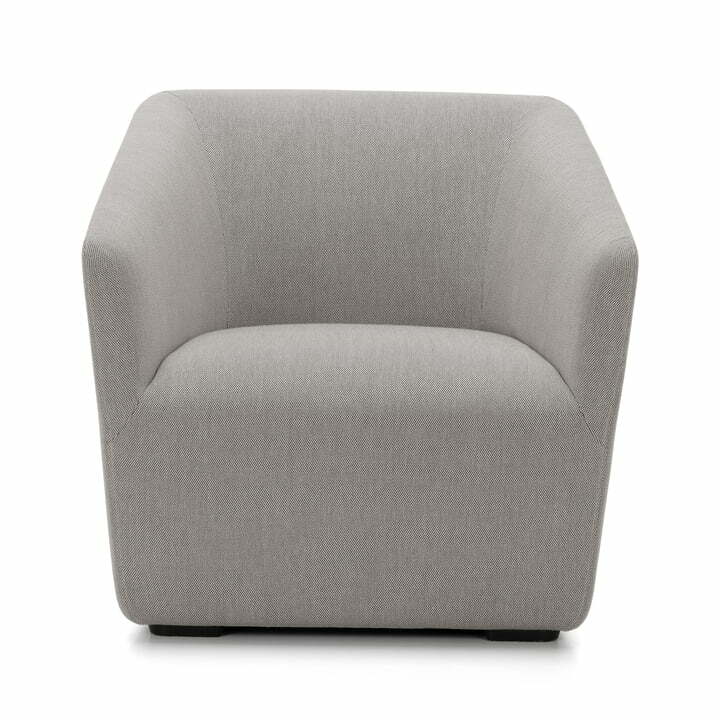 Its appearance is so discreet, that is looks great as part of a group of chairs. In contrast to the straight-lined silhouette, the armchair’s seat is organic and softly-rounded. With the Occasional Lounge Chair's compact dimensions, the seat cushion and backrest convey a sense of well-being and comfort.